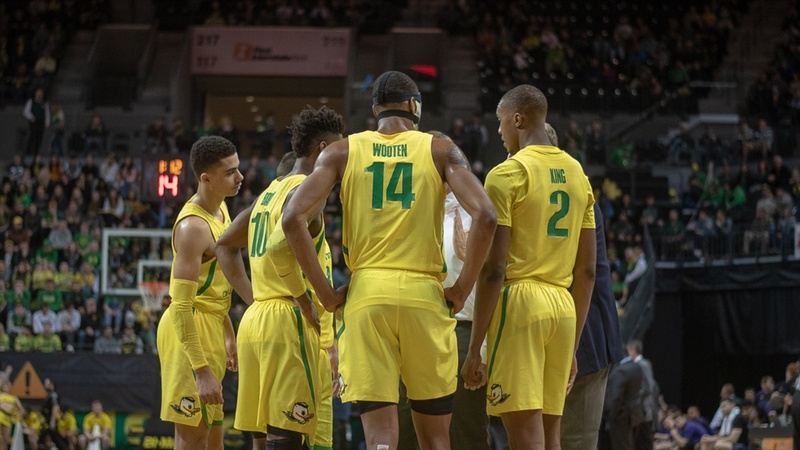 Led by the tag team of Payton Pritchard and Kenny Wooten, the Oregon Ducks came out of the locker room with a bang Sunday and rode that early momentum to a big win over Stanford, 69-46. The Ducks played the best half of basketball that I have seen them play all season, and it wasn’t close. It took Stanford more than seven minutes just to get on the board, and then another nine minutes to get into double digits. Meanwhile, Oregon was slowly pulling away. The biggest factor in the Ducks' first-half success was Kenny Wooten. Wooten was going for the block on every single possession, and by intermission he had 5. On the offensive end, he was grabbing rebounds and attempting some dunks/alley oops that would have no doubt been on ESPN’s top 10 – if they had been completed. Wooten definitely set the tone for Oregon’s offense, finishing the night with 6 points, 6 rebounds, 2 assists, and 7 BLOCKS. Wooten didn’t have the offensive performance of his career, but he might have just had the defensive game of his life. Wooten’s effort on defense was matched on offense by Pritchard, who stepped up again for the Ducks and took the reins. Pritchard, who had been having a rather uneventful junior season, has really started to re-emerge for the Ducks, putting up 40 points in the last two games. While he didn’t match the career high in rebounds (10) he set against Cal, he did match the 20 points from Wednesday's game. Pritchard does his best work when the whole team is shooting well; it is why he was so successful his freshman year but has struggled the last two. Since the Final Four year, he has had to be the Ducks go-to guy on offense – and that wasn’t good for his production, as we all saw. But on Sunday, the Ducks played unselfish basketball and everyone was getting the opportunity to score. Louis King had 16, Victor Bailey Jr. 11 and Wooten 6 -- and because of that balance, Pritchard thrived. If the Ducks can play the rest of the season like they did Sunday, they have a solid chance of winning the Pac-12 tournament.